How Unusual is this Move? The recent move in the market has been steep and quick. To many, it feels worse than other recent moves. Looking at just the last three years, this is the fourth such move. While it may feel very unusual, there have been four similar drawdowns since 2015. Of course, many are saying “yeah, but this is different” – time will tell. 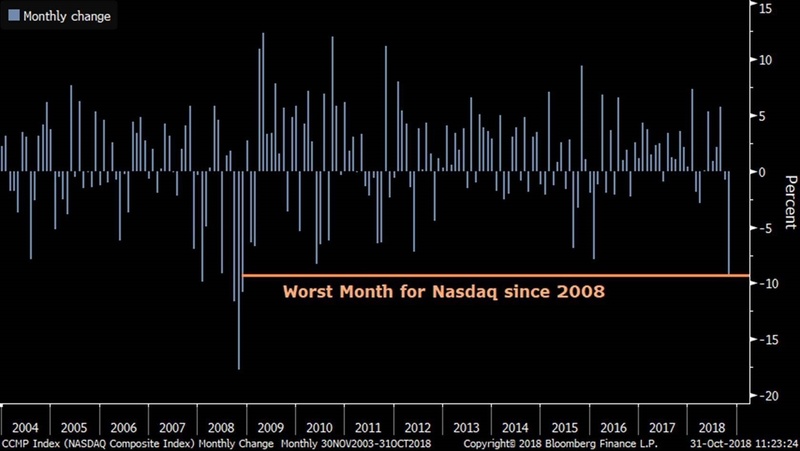 It is worth noting that in the new world of automated trading and massive ETF holdings, the nature of market moves has changed. 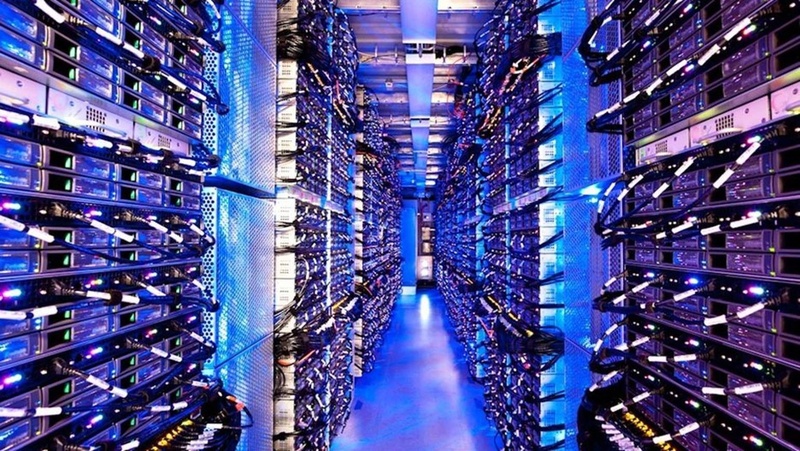 Emotional selling is now as easy as pressing a button to sell ETF holdings, or in some cases a computer automatically sells when certain conditions are met. This helps cause the “air pockets” that we experience in market corrections now. 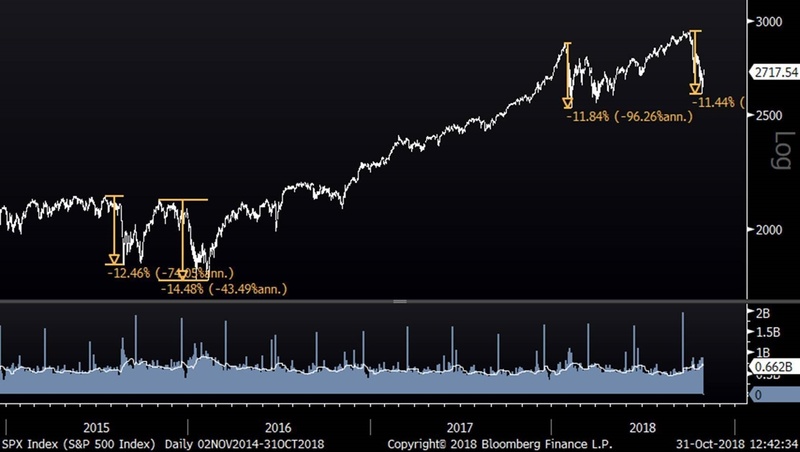 The new normal is for the market to “take the stairs on the way up and the elevator down” – October has proven to be an elevator ride. Those of you who have read this blog for a while might remember me sharing an interesting video from Boston Dynamics showing their robot doing a backflip and some other unbelievable, albeit slightly clumsy, moves. 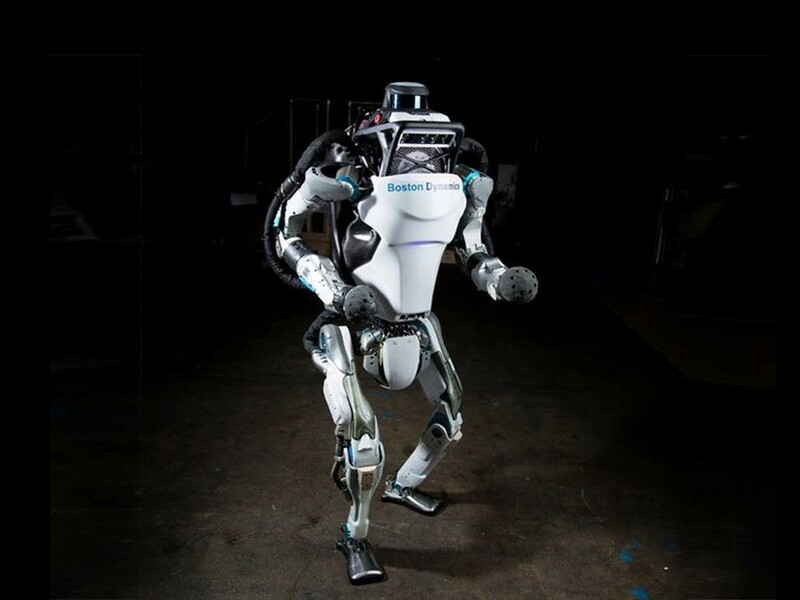 Check out this video to see how much the technology has advanced in just a year or two: WATCH: Boston Dynamics Atlas Robot While this is cool and amazing to watch, it illuminates an important secular trend – technology is advancing at an unprecedented rate and artificial intelligence is at the core of this revolution. This, of course, has meaningful investment implications too. 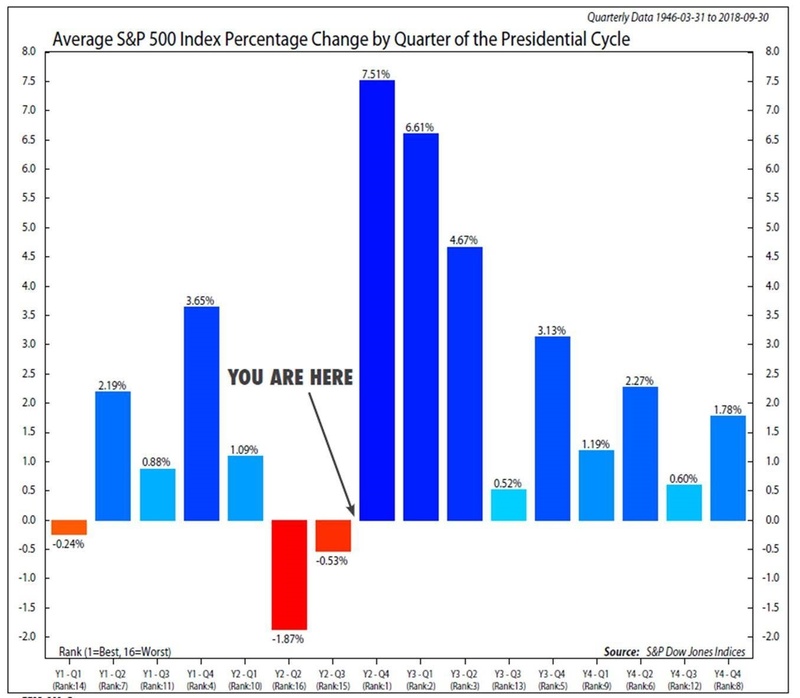 The chart below from the Ned Davis Research Group shows the typical S&P 500 performance over each quarter of the presidential cycle. There are always exceptions to the rule, but the presidential cycle is transitioning from what are typically the worst two quarters into the best three. Is this time different?